November has been (and will continue to be) a very busy month for us here in Thailand. We have had a lot of volunteers come through our doors recently and we have even more coming tomorrow. 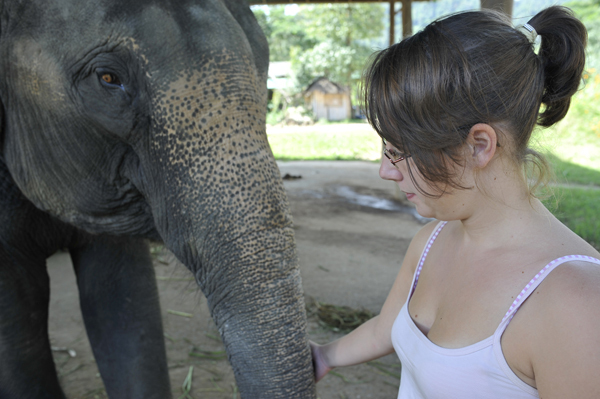 We currently have volunteers in six of our Thailand projects. Tomorrow will be the close of volunteer project date for three of our volunteers. Annika will be completing her volunteer project of eight weeks at the Single Mother’s Home. Kevin will also be completing his eight weeks of volunteer service. Kevin volunteered in the Elephant Camp Volunteer Project and the Teaching Monks Volunteer Project, each for four weeks. Hester will be completing her four week service in our Children’s Home Volunteer Project. It’s been great to have Annika, Kevin and Hester as a part of our volunteer team here in Thailand. Normally volunteers serve for an average of four weeks, so it feels like Kevin and Annika have been here for a long time. We’ll certainly miss all three of these volunteers and wish them luck with their future travels and adventures. During our close of volunteer project interview, Hester told me that she was able to observe and experience a touching, memorable event today. During the last days of her volunteer project at the Children’s Home, the administration asked Hester to help teach English to one of the five year old boys. The little boy was going to be adopted soon by a family from Finland and the administration wanted him to have some basic language skills before his new family was to pick him up. Today that little boy got his chance to really use the words father, mother, brother, sister, along with all the other words that Hester taught him during the last few days of her volunteer project. Hester was there when his new parents came to pick him up. The entire family, brothers, sisters and all traveled to Thailand to pick him up. Hester said that the boy was extremely excited and happy. She went on to tell me that his new mother was unable to hold back her tears of happiness. Hester said that she had to try hard to not cry herself at witnessing the touching moment. 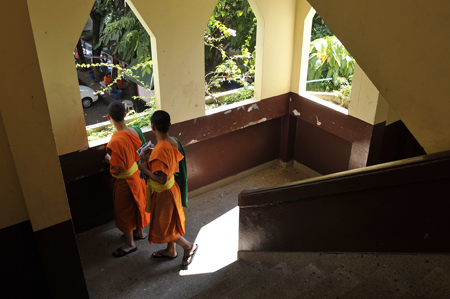 Saturday will be the first day of orientation for our Thailand Volunteer Group #63. They are a large and diverse group of 9 volunteers. This group has volunteers participating in our Teaching Monks Volunteer Project, Elephant Camp Volunteer Project, and Children’s Home Volunteer Project. We look forward to this big group of eight volunteers and wish them the best of luck with their volunteer service. 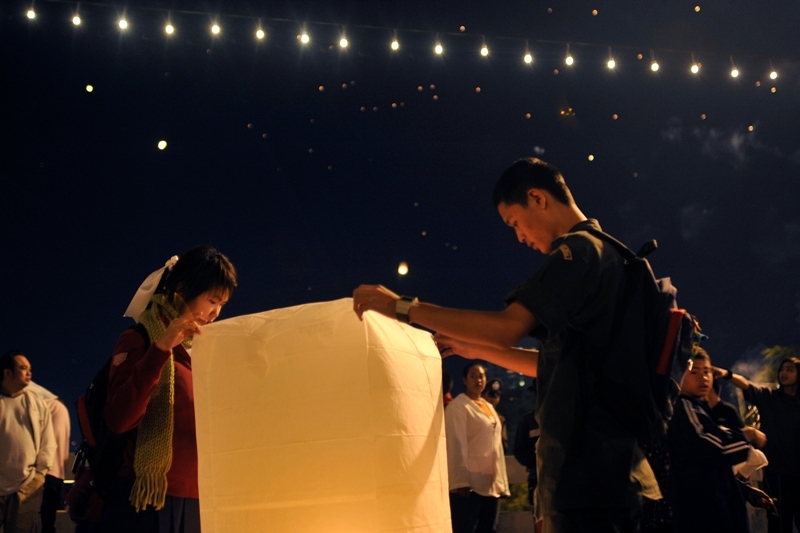 As was written in our Update from last week, the Loy Krathong Festival is right around the corner. This festival lasts for multiple days, with the biggest celebrations occurring on the full moon, which will be the 21st of November. The people of northern Thailand (and hopefully our volunteers) are gearing up for this holiday, as the festive sounds of fireworks and Thai style fire crackers can be heard throughout the evenings.